The Somerset and Dorset closed in 1966. 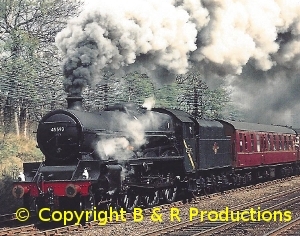 A local enthusiast and railwayman, Terry Nicholls, whose still photography is quite well known, he has been in the Glorious Years in the Steam Railway magazine, turned his cine camera to the line in its last two years. 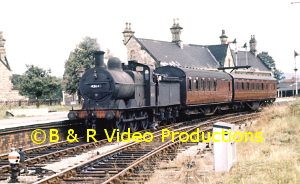 Unlike some videos of the line, this covers the Bristol to Bath via Mangotsfleld route before venturing south to Templecombe and the Highbridge branch from Evercreech. Specials are also covered right up to the last day of working, with 4F, 8F and West Country pacifics. Jim Clemens Collection No.5. 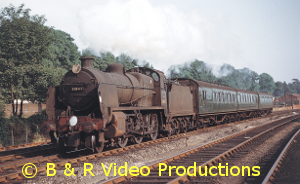 The video covers the Midland lines and branches around Worcestershire and South Birmingham.There are excellent scenes of the operation of the Lickey incline from the lineside and from the footplate. 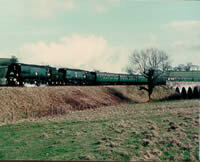 The alternative route through Redditch and Evesham is filmed from the early 1960′s with Jubilee, 4F and Fowler tanks. Freight and passenger workings on the 1 in 37 Lickey incline and much, much more. 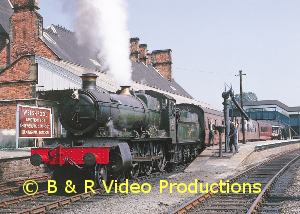 The original archive film was taken with the usual Jim Clemens eye for detail.Covers the Midland lines & branches around Worcestershire & South Birmingham including the Lickey Incline & the alternative route through Redditch & Eversham. 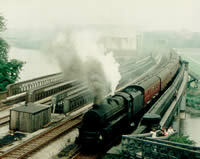 The railway route to Holyhead saw steam up to 1967. 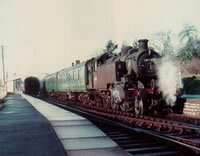 Today it still sees steam on the Yns Mon Expresses but on a completely different railway to the 1960′s. Like our Volume 34 on the Cambrian we begin our journey in London, at Euston, departure point of the Irish Mail. Duchess and Britannia Class are seen alongside empty stock workings. 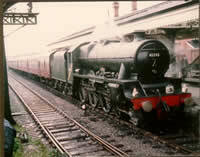 Continue along the West Coast Main Line through Rugby and Stafford to Crewe. We stop off here for a visit to the locomotive works, the station with Duchesses, Britannias and Jinties. On to Chester meeting the GWR route from Shrewsbury and a fine view from the 1930′s of Scot 6146. Lineside through Mold Junction and Shotton to Prestatyn and Rhyl. 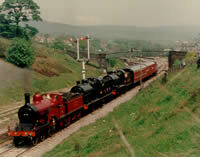 Holiday expresses pass through behind a variety of power and a short visit to the miniature railway in 1962. Llandudno Junction with Jubilees, Duchesses, 2-6-4 tanks, Conway with Scots and Black 5′s. At Penmaenmawr steam passes against a backdrop of the sea, Llanfairfechan and its zoo! 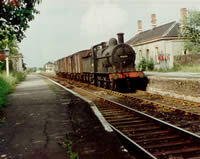 Bangor for more action in 1962. Travel the Snowdonian through Caernarvon to Llanberis. Holyhead in 1962 with Duchesses and Scots and 1949-built TS Cambria. Twenty different classes feature from Jinties and 4F’s to Patriots, Jubilees and Duchesses. 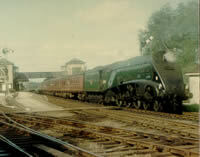 Two LNER pacifics and GWR Castles put in an appearances.